Welcome to Passion For Cigars! A couple of years ago, with the backing of a local cigar store, I started recording videos talking about cigars. I had a lot of fun, but shortly after we started, the store backed out. Since then, several friends, who have seen the few videos that I created, have encouraged me to restart the project, but this time on my own. I found several reasons to delay, but in truth I really enjoyed doing it. I love discussing cigars; I love teaching people how to smoke cigars. I am passionate about cigars, and love sharing that passion with others. It was a simple question of location and logistics. Fast forward to March, 2018… the here and now. Smoking with a friend in his workshop, I realized that I have the perfect place to record my videos – wherever I smoke with friends. I have several friends whose houses I visit regularly to smoke cigars. Some are in my current hometown of Ottawa, others are in the Greater Toronto and Hamilton Area (GTHA), and still others are in Montreal, and scattered wherever I travel frequently. I do not need a fancy studio to record my videos… I need my video camera, my tripod, and my cigars. What else do I need? Friends to talk with on camera; I need my cigars and my cigar tools (which I often refer to as toys). In other words, I have everything that I need. That very night when I came to that conclusion, I sat down with my friend Stephane, and we recorded no fewer than six videos. Some of these videos are as short as three minutes, others are much longer. These are the first batch that I have started uploading to my new YouTube channel. The next day I sat down and thought about what to call my channel, and the accompanying blog. Most of the ideas I had were already taken, whether by existing sites, or by domain squatters. I would have no problem using a .ca domain name, as is demonstrated by the plethora of domains that I already own as a proud Canadian; I would not want to select a .ca domain with the same name of an equivalent site – so something like CigarAficionado.ca would be out. I took my laptop with me to Dream Catcher Cigar Lounge in Kahnawake, Quebec. I connected to their Internet, and started thinking about it. The idea I had originally was something like Mitch’s Cigars… but apostrophes are not acceptable characters in domain names, and anyways, I did not want the site to just be about me. I ran a few names through the whois tools and was disappointed to see my first six or seven choices were taken, and yes, in each case it was by a cyber squatter. This Domain is for Sale! 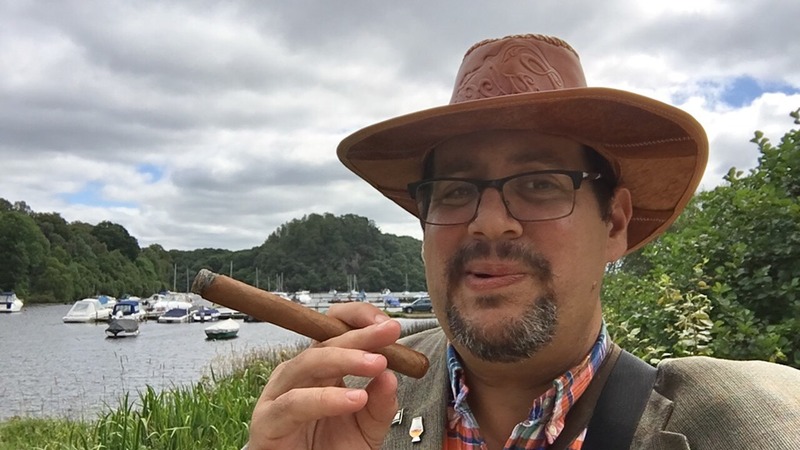 And then it came to me… this project – the site, the blog, and the accompanying YouTube channel, is not about cigars, but rather about the passion that I and so many others share for cigars. In consultation with the very lovely Jamie (who works there and loves mustard), I gave her my idea. She tweaked it, I ran the name… and immediately registered it. WWW.PassionForCigars.com was born. The site was registered on WordPress, and the channel was created on YouTube. Before my friend met me for dinner, the first video (the introduction) was uploaded. Over the next few days, the remaining videos that we shot in Stephane’s garage that Friday evening in Notre-Dame-de-L’Ile-Perot will be as well, and we are planning to record several more videos before the weekend is out. The videos are going live, the website is on-line, and the project is truly under way. You can visit our YouTube channel here, and you can let us know what you think… both here, and on YouTube. 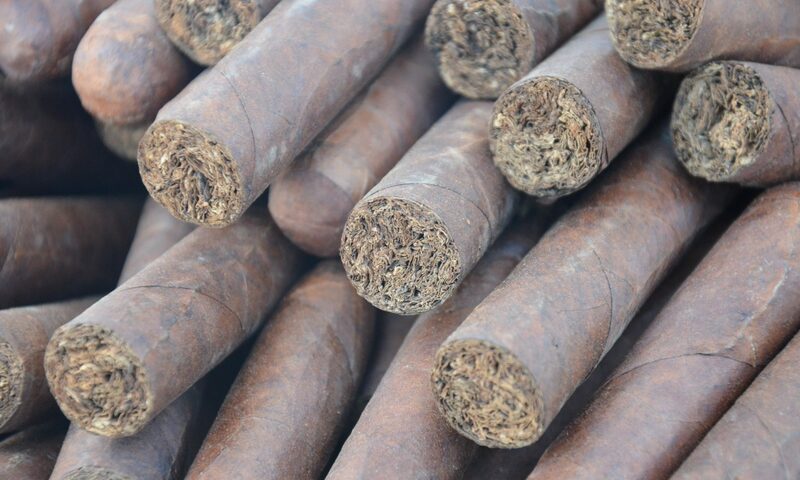 Welcome to Passion For Cigars. I hope you enjoy it.